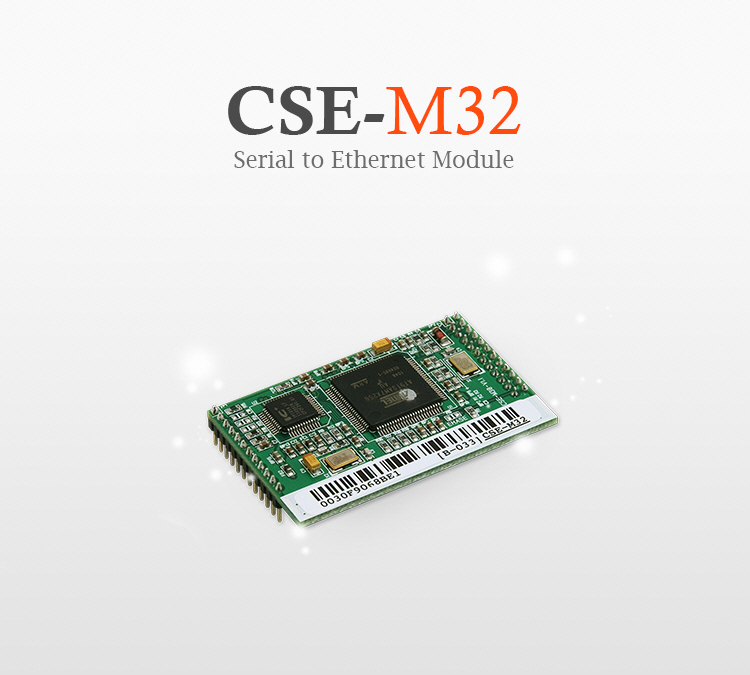 CSE-M32 is a 2 ports embedded serial to Ethernet module that accomplishes conversion functions (serial to TCP/IP and vice versa) to provide your serial devices with seamless network connectivity. By applying it, therefore, you can remotely control and manage serial device over network without changing existing software. This serial to Ethernet module is equipped with a TCP/IP stack optimized for compact size and multiple UART ports to enable high speed data transmission. Also, CSE-M32 supports DNS, DDNS, Telnet COM Port Control Option and two UART ports to be extended to RS232/RS422/RS485. CSE-M32 is especially suitable for Secure Communication through the Internet, Bank Automation System, Extending distance between two devices through the LAN, etc.